World-renowned as an outstanding year-round performance centre, Snape Maltings offers artists at all stages of their career the chance to be inspired and energized. With inspirational scenery, a rich musical heritage and the time and space for musicians and audience to discover, create and explore, Snape Maltings helps artists reach their full potential and define their own musical landscape. 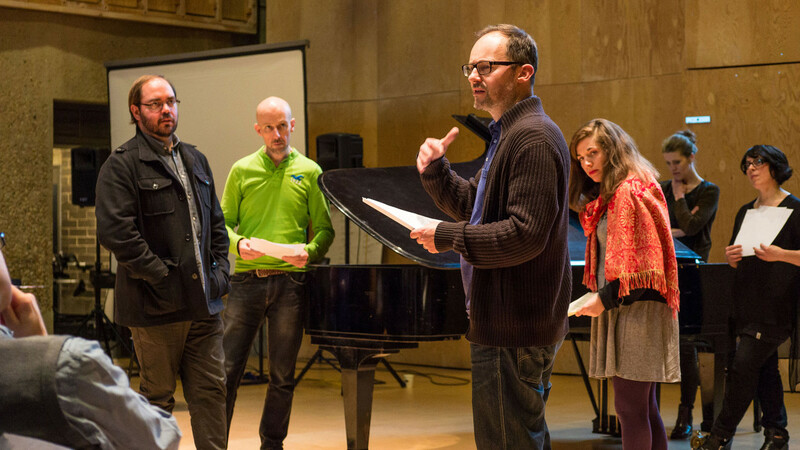 In 2007, Snape Maltings (previously Aldeburgh Music) and Jerwood Charitable Foundation launched the Jerwood Opera Writing Programme, designed for composers, writers and directors who want to widen their horizons and equip themselves to create contemporary work combining music, theatre and text. The Programme consists of two stages: the Jerwood Opera Writing Foundation and Jerwood Opera Writing Fellowships. The Foundation course offers a series of three week-long workshops for participants to develop their skills, and the Fellowships provide tailor-made support to create specific new works. The 2016/17 Jerwood Opera Writing Fellowship projects are: Micky's Chippy, composer Jesse Jones, writer Richard Scott, director Josh Armstrong; Blue Fire, composer Joel Rust and writer David Troupes; Giant, composer Sarah Angliss and writer Ross Sutherland; and The Devil in the Belfry - composer Tom Coult and writer Alice Birch. The personal data you give us here will only be used by Jerwood Arts to send you information about its activities. It will not be passed on to anyone else.